Tulsi is an ayurvedic herb indigenous to India. Three varieties of Tulsi-Krishna, Rama and Vana - are blended together to create a beautiful flavor that is earthy and slightly minty. 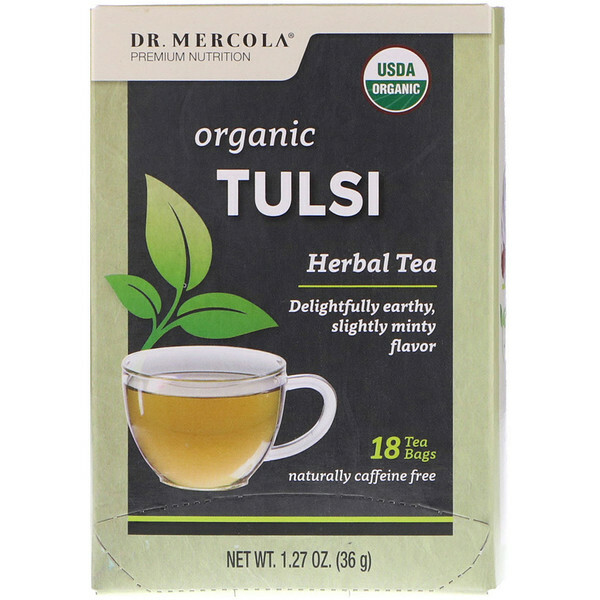 Tulsi Tea is caffeine free, and is both calming and uplifting. Dr. Mercola's Certified Organic Teas are sourced only from top quality organic tea farms adhering to the strictest organic growing practices and standards, using gentler, more environmentally friendly fertilizers and amendments approved by the National Organic Program. These Tulsi leaves are harvested in India on small, family owned tea farms. The growing methods they use focus on harmony between wildlife and agriculture as well as ecological responsibility to bring you pure, high quality teas. "I am passionate about formulating my products using a holistic approach for optimal health and wellness." Premium Products - Compare my ingredients to other leading brands. You'll see the pride taken in producing simple, high quality products you can trust. My Mission - Partner with leading charities committed to protect your right to achieve optimal health. Place one (1) tea bag into tea mug. Pour just boiling water over tea bag to fully saturate and fill up mug. 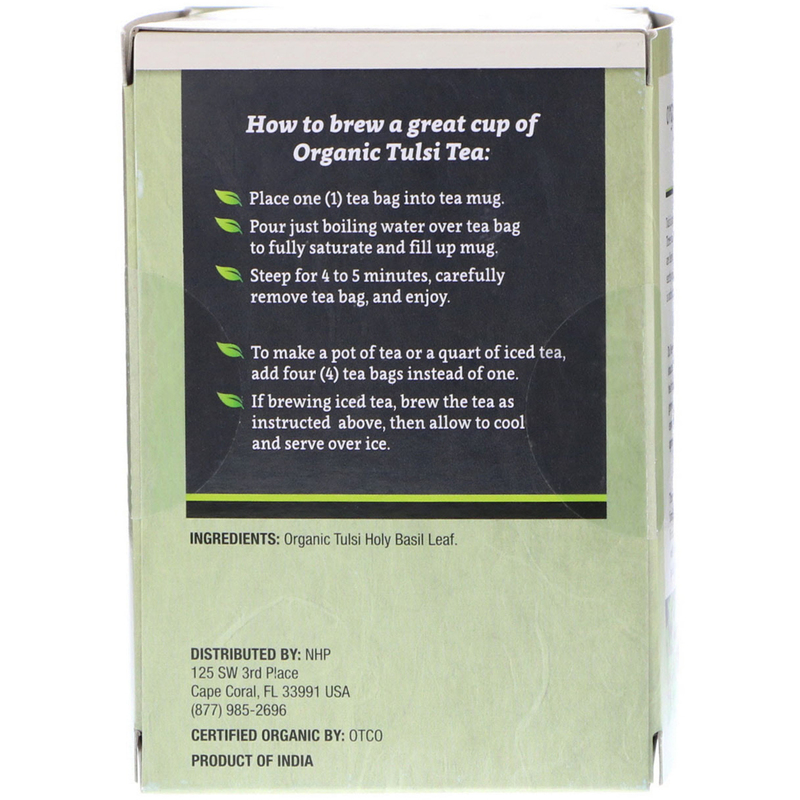 Steep for 4 to 5 minutes, carefully remove tea bag, and enjoy. To make a pot of tea or a quart of iced tea, add four (4) tea bags instead of one. If brewing iced tea, brew the tea as instructed above, then allow to cool and serve over ice.